Ohio corn planting progress was reported at 49% this week, up three points on the week, but behind the 5 year average of 57%. Corn planting nationally was seen at 71% this week, right in line with the 5 year average. Ohio soybeans came in at 19% planted, up three points from last week, but behind the 5 year average of 27%. Nationwide, soybeans are 32% planted, also right on track with 5 year average. 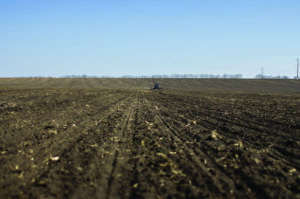 Most of the planting progress last week was made in the northwestern belt. Some of the wetter states in the southeastern belt should dry out this week and make decent advances.